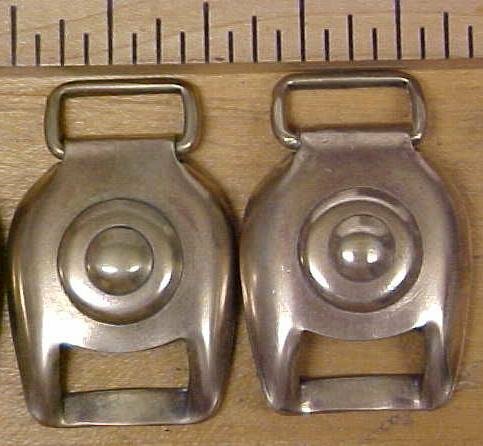 This is a nice solid brass, antique horse brass, or saddle strap buckle, designed for a 5/8" wide leather strap through the swivel loop or the slot. 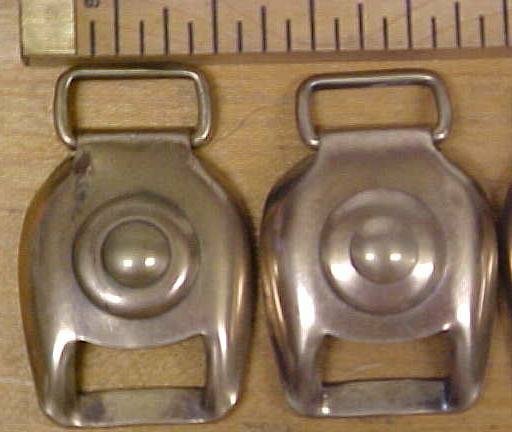 All 4 are included in this sale, these are old, and may be made to cover a heavy duty snap since the bullseye form is raised so it would give clearance on the inside for a snap up to 1/2" diameter. The buckle is .35" thick x 1.18" wide x 1.75" long. As you can see in the pictures 3 of the 4 are in very good shape, while the 4th has a slight scrape on one small area near the swivel loop. 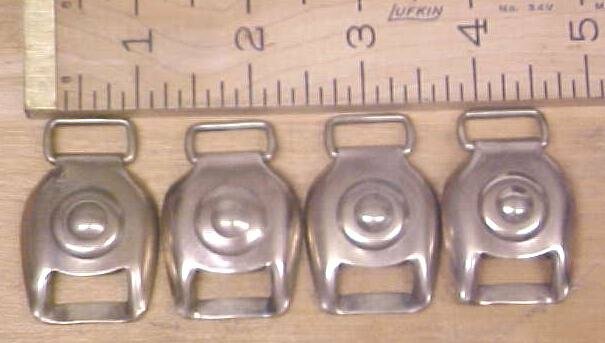 A very hard to find early 1900's era fancy saddle bag flap strap buckle! Price is for all 4 as shown in the picture. These are all we have of this type, never seen likes of these before. Don't miss out. 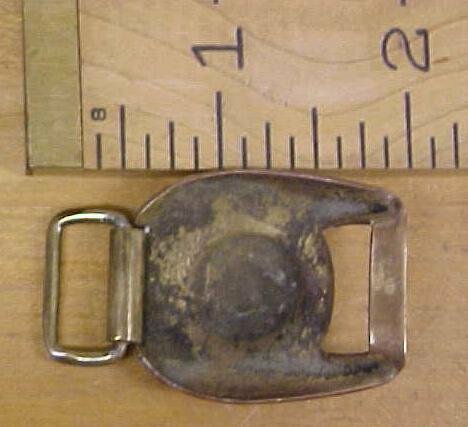 Items Similar To "Antique Horse Harness Brass Buckle Tack Bullseye"